We’re back online and will be cooking up some new posts in the near future! (We said it online and posted it on FB, so I think now it has to happen.) To revival… and, of course, to food! Cheers! 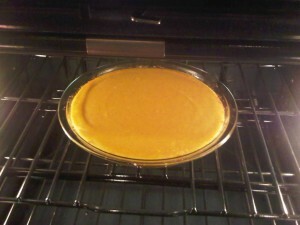 Thanks to my friend Sharm for this delicious pumpkin pie recipe! When I tried this recipe out, I substituted the buttermilk with egg nog and omitted the egg. 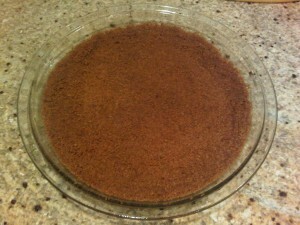 I also didn’t have brown sugar in the house so I substituted white sugar, using about half the measurement (1/4 cup). 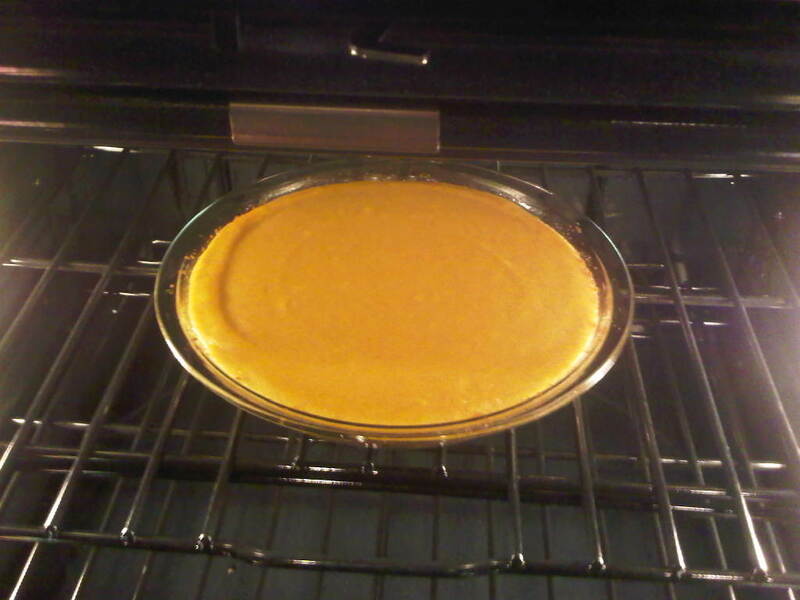 Finally, I added 2 tbsp white sugar and used about 3/4 stick of melted butter to the crust mix, following an method tip I picked up a while ago and included in my Lemon Pie and Champagne Strawberry Cheesecake recipes. But enough shameless plugging of my old recipe posts! Why I’m actually mentioning all of this–just reminding you to feel free to tweak the recipe to fit your preferences, and/or whatever you already have in the house (as always). Sharm was looking for something that could substitute the heavy cream and so used buttermilk. I love eggnog and went with that. Have fun with the recipe and enjoy!!! 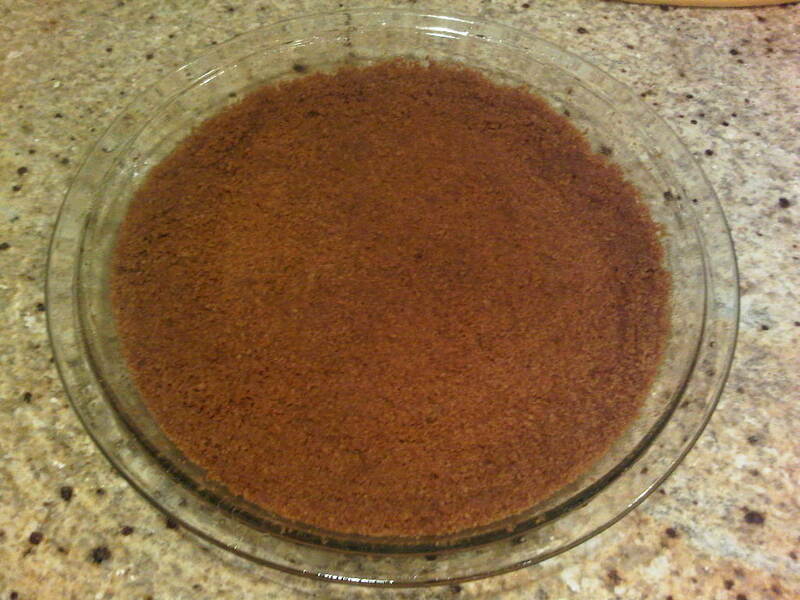 Pour into crust, and bake again at 350 til firm. About an hour, give or take. 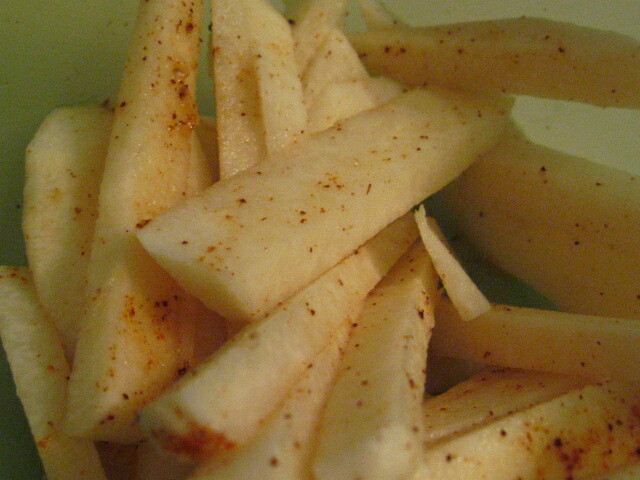 Subtly sweet and simple to prepare, the jicama root makes for a satisfying, healthy snack. 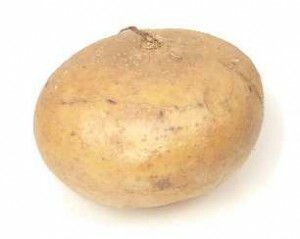 This Mexican tuber looks a bit like a turnip, and is also considered an alternative to water chestnuts in stir fry recipes. 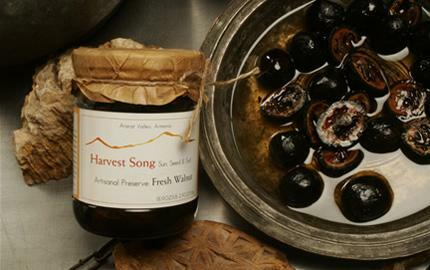 If you haven’t already added this delightful little delicacy to your kitchen shelf, why not pick one up the next time you’re at the market? They’re inexpensive, low in calories, fat free, and high in potassium, fiber and Vitamin C. Click here for more nutrition facts. 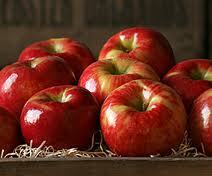 The perfect diet snack--and great for most with food allergies. So, how do we prepare one of these little gems? 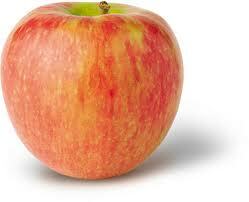 The skin peels off easily with a potato or fruit peeler. Then rinse, slice into sticks, toss with lime juice, and sprinkle lightly with salt and paprika. This is the most popular way to eat them of which I’m aware. But, jicama has become popular far beyond the borders of Mexico, and it is prepared in various ways throughout Latin America. 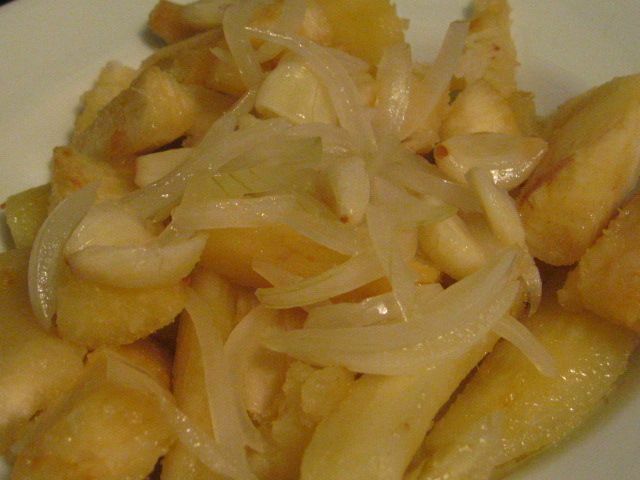 So anyone who has other ways of preparing jicama–please write in and share! Fast, easy, and delicious--the perfect snack! Question: What do you do when you–a lover of all things edible, and a recently minted food blogger–are told that you are allergic or sensitive to almost everything you regularly eat? And what’s more, that you have a low-functioning gallbladder (so you have to take any food allergies/sensitivities very, very seriously)? Answer: You freak out and wish you could cry, but your shock won’t let you. Your heart palpitates and your gut does flip-flops. Then: You pull yourself together. And you realize that you’ve been training for this very challenge, for the past several years. After all, this blog is all about learning from, and incorporating, culinary concepts and ingredients from all around the world. 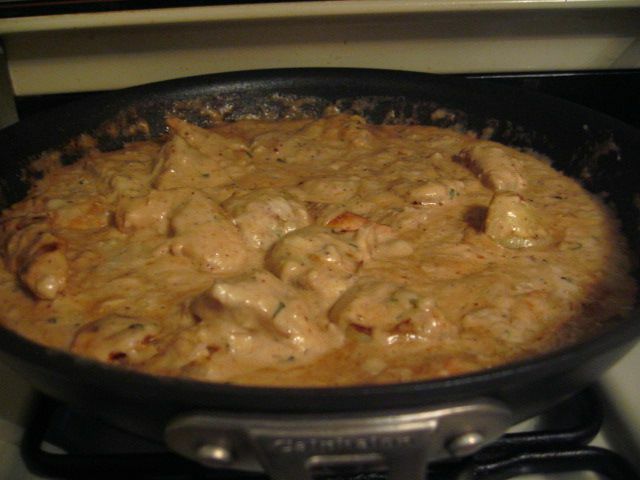 It’s about taking cultural influences on certain ingredient combinations (say, chicken with sweet walnut sauce) and applying the ideas to your own cooking methods and readily available ingredients (say, chicken and potatoes with a cream-based walnut sauce). I absolutely love traditional foods from all over the globe, and I’ve been very blessed to be able to try the real deal, from Tajikistan to Mongolia, from Egypt to Morocco, from Easter Island and New Zealand to Malaysia, and lots of places in between. Eating my way through the continents of the world has radically changed and shaped my view of food and how food patterns can be applied with almost any set of ingredients to create a satisfying variety of meals. Whether you’re pairing papaya with pineapple (as is common in Central America) or with fish paste (as is popular in Southeast Asia), one ingredient really can take you in several different directions. And it was my original intent to explore these options on this blog, as an online extension to a recipe and cooking methods book I was compiling for friends and family. However, I have to admit that after spending the past 2 years in Europe, I have recently been excited to get back to some good ol’ fashioned American foods, and lately I’ve been delving into my old favorites: homestyle mac ‘n’ cheese (click here for recipe), my Mexican favorites–enchiladas and fish tacos (click here for taco recipe), and fried chicken (see my Guiness Fried Chicken recipe here, which incorporates two of my very favorite things). 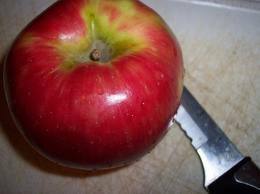 As those of you who have been following this blog know, I like to prepare healthy, albeit rich, foods. As close to nature as possible, organic when possible, local if at all possible, this is my mantra. But, it was not even 2 days after making my Georgian-inspired Chicken and Potatoes with Walnut Sauce that I was told that I have a low-functioning gallbladder that should be removed. A few days later, my insurance expired. Long story short, the surgery isn’t getting done anytime soon. In the meantime, I will have to learn to deal with it and help my body heal as much as possible. How? By restructuring my diet. And for better or worse, you get to come along with me for the ride, if you want to! I went to a holistic doctor who was highly recommended to me by a good friend, with a track record of “fixing” a lot of people we both know. He gave me some herbal supplements and basically told me we could at least give a shot at actually restoring the gallbladder so that the surgery wouldn’t be necessary. No guarantee, but worth a try, especially because surgery isn’t going to be an immediate option. This is also when he dropped the bomb on me. I apparently have an allergy or sensitivity to: wheat, corn, potato, sugar, milk, chocolate, peanut, and tomato. I don’t break out in hives or go into anaphylactic shock with any of these ingredients; however, over a long period of time of basing my food intake on these foods–even my pure, unprocessed, organic, locally grown ingredients–my system has apparently become hypersensitive to them, which has complicated my genetic pre-disposition for certain health issues. So, I have to go at least one month without these foods–and maybe a bit longer–before I can start slowly reintroducing them into my diet. This is particularly shocking to me because, as I have noted in another post, I really thought I had a stomach of steel from extensive travel and exposure to different cuisines. While I don’t actually get noticeably sick from most foods, I apparently do have enough of an internal reaction to mess up the chi of my system, according to holistic medicine. 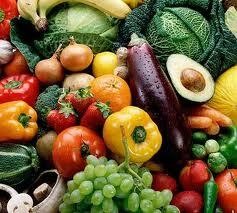 And it really isn’t necessarily the food itself, but rather the food in combination with your genetic make-up. Some of us are just more sensitive than others to certain things. So, if you or a loved one has even mild indigestion or heartburn on a relatively frequent basis, you may want to re-examine your diet, or even get it checked out by a professional. And in this case, I do heartily suggest going to a holistic doctor as well as a Western doctor, if you can. They treat conditions differently, and they can come back with very different answers. From someone who (unfortunately) now knows. Now, I am no expert in food allergies, and I have only just begun my research. Apparently, potato and tomato are nightshade plants, and that means I likely have a sensitivity to eggplant and peppers as well (two more of my favorite foods). But, I will be doing much more research (out of necessity), and I hope that you will bear with me while I figure out what I can eat. Hopefully, the information will be at least somewhat helpful to you, as well! Recent attempts at recreating Western foods with alternative ingredients (i.e. 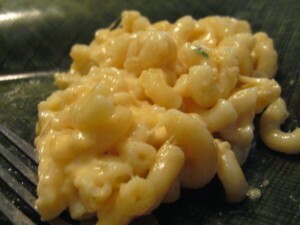 “mac ‘n’ cheese” with rice bran pasta, almond milk and veggie cheese) have taught me that 1) Recreating foods well would take a lot of money and a BA in Chemistry to figure out good substitutes; and 2) It may well be worth going back to my original goal of compiling traditional cuisine tips with the foods I can eat; that is, researching how sorghum, millet, buckwheat, tapioca, arrowroot, and other flours can replace wheat, corn, and potato flours; and utilizing alternative starches to the potato in original form as well, such as the only very distantly related sweet potato, jicama, taro, malanga, and yuca (click here for my recipe for Cuban-style yuca con mojo). And instead of trying to make these “alternative” ingredients fit the “norm” of Western cooking, I plan on getting much better acquainted with meals that are time-tested and approved by billions of people the world over, even if I’ve only been personally exposed to a small percentage of those meals so far. So… be expecting much more in the wheat-free, cane sugar-free, milk-free, corn-free, potato-free, tomato-free, peanut-free, and chocolate-free food zones, as well as my experimentation to make (necessarily) healthier versions of some of the foods I can’t imagine living without–namely, brownies, chocolate-covered marshmallows, and of course, who can forget the oh so wonderful Avocado Banana Double Chocolate Chip Frozen Custard? And there will definitely be more healthy Armenian foods, which I have been meaning to make anyways, with some necessary tweaks on the bulgur wheat (I hear quinoa can work…)… and maybe an attempt for a non-wheat flatbread for lahmajoun (which might also work for non-wheat, non-corn tortillas)…. If you or a loved one has a food allergy to any common food ingredients, I hope the (at least temporary) new direction of the blog will help you to think of new ways to adapt and explore your options. And if you are one of the lucky ones who have no food allergies, well, hopefully you’ll still find the foods worth trying for yourself!!! There is nothing quite like good, ol’ fashioned mac ‘n’ cheese. Yeah, this is American, and I’m quite okay with that. But, to be fair, there are similar versions of this dish popular in Germany and the UK. So it’s *kind of* international…. Anyways, most people have their own ways of making mac ‘n’ cheese, but in case you are 1) a box version addict or 2) a non-American visitor to this site, you may not have made your own, homestyle mac ‘n’ cheese. There are lots of different approaches, including making a cheese sauce with flour as a thickener and adding the already made sauce to the pasta, but I find that the flour and the separation just aren’t necessary, at least not for my liking. I often eat this by itself, but of course it makes a fantastic side dish, as well! ...or with additional dried parsley, ground black pepper, and/or grated parmesan to garnish. Delicious any way you serve it! Cooking time: About 15-20 minutes. *It’s worth getting good quality, imported Italian pasta for this dish, as it’s less soggy, less likely to break, and it holds the cheese sauce better. This is a very straightforward recipe, but delicious enough to include on the blog. First, set some water to boil in a pot. Once it’s boiling, add the pasta elbows. 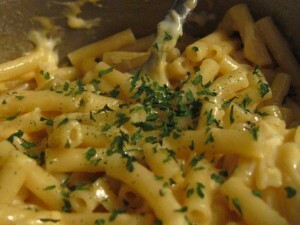 Although any pasta can really be used, elbows are best for this dish because of the way it absorbs and holds the sauce. You may wish to salt the water a little bit, but it’s not as necessary as it would be for other pasta dishes. The sauce will likely be more than sufficient to flavor the pasta. Drain the pasta and throw it back into the pot. This is one of the reasons that I love this dish–easy and light on the cleanup afterwards. While the heat is off, add the cream, butter, and salt (better to start with only a small amount of salt and add more later if necessary–remember, the cheeses are also going to add a salty flavor). Stir gently with a large wooden spoon (this is less likely to break the cooked pasta). Turn the heat on low and continue to stir until the butter is melted and the noodles are evenly coated with the cream-butter mixture. Add the creme fraiche/sour cream if you’re using it, and slowly stir in until smooth. 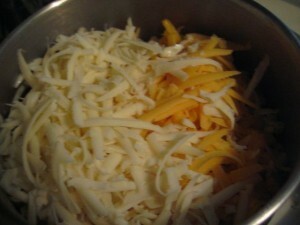 Add the cheeses slowly, stirring gently. Once all of the cheese has melted evenly into the pasta, add the coriander, parsley, and oregano, and continue to stir over low heat for another minute or two. Turn off the heat and let the pasta set for a few minutes. When transferring to the serving dish or your own personal plate, add the ground black pepper and grated parmesan cheese if you want an extra little kick. Easy, fast, filling, delicious, and, if you’re a careful ingredient shopper, no added fillers or preservatives! Yum! While living in the Republic of Georgia, I was introduced to a new way of seasoning meats and vegetables–with walnuts. Eggplant, fish, chicken, pork, and beef are all dressed with absolutely delicious walnut sauce, usually accented with cinnamon and cloves. It’s a completely different experience!! 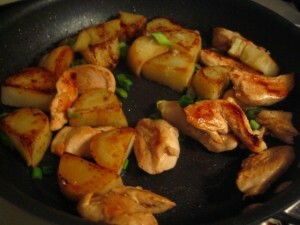 Well, so I had some chicken I needed to get rid of, and some white potatoes that I wanted to cook up. And so I started grabbing at random bits and ingredients around the house, including walnuts, and made possibly the most delicious meal I’ve ever made, totally unexpectedly. If you are trying to cut carbs and are therefore turned off to the potatoes–read this article from Prevention magazine about how good white potatoes are for you (along with so many other veggies like corn and carrots that the Atkins diet had us running from). White potatoes, the Russet's more delicate cousins. Delicious and nutritious! I highly highly encourage all of you to try this–it takes about an hour and a half to prepare and cook from scratch, but it’s totally worth it! I took the idea of Georgian walnut sauce, took out the cinnamon and cloves, and added sour cream. I wasn’t sure how it would turn out–but I’m happy to report it was a complete success!!! Note: most of these measurements were eyeballed, so don’t worry about getting it exactly the same! 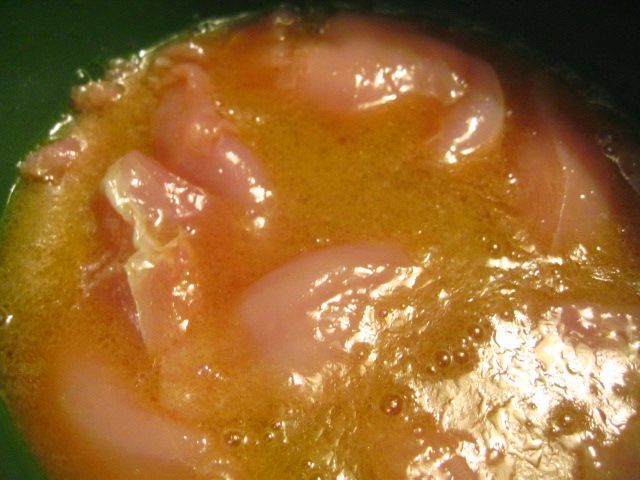 While that is heating up, chop up the chicken and make the marinade, whisking the ingredients together until they form a smooth sauce in a small bowl. Place the chicken in the bowl, put some plastic wrap over it and place in the fridge to hang out and absorb until you’re ready for it. 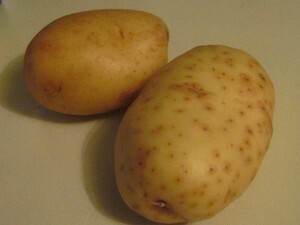 Wash and cube the white potatoes. The water should be boiling by now. Go ahead and add some salt, maybe about 1/2 – 3/4 tsp. It sounds like a lot but it will be diluted by the water. Lower the heat a little bit and let the potatoes lightly boil for about 15 minutes, or until you can easily stick a fork through them. Now you can turn to the sauce. Slice up half an onion and place in a food processor. Add the walnuts, the garlic and the mustard. Grind until you have an almost paste-like consistency. This will let the onion flavor permeate the sauce without messing up the texture. Check on your potatoes, and remove from heat if necessary. I found that mine still needed some time. So I turned my attention to the stovetop. Now it’s time to cook the chicken. In a large saucepan, add the chicken, making sure to use only a minimal amount of the marinade and throw out the rest, enough so that the pan is thinly coated and can accommodate the potatoes, but not more than that. No extra oil is necessary because of the oil in the marinade. Let the chicken cook on low-medium heat, making sure to keep an eye on it and turn the pieces over when necessary. In another medium saucepan, melt the butter over low heat. Add the flour and stir until it forms little “flour nuggets” for lack of a better description. Add the cream and continue to stir. When smooth, stir in the sour cream, salt, pepper, parsley, white pepper, and parmesan. 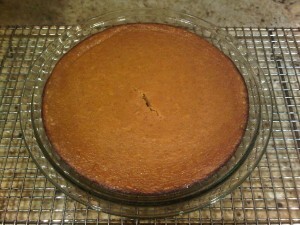 If it’s really thick, add a splash or two of milk to thin it out just a little bit. It can stay a little bit thick though, because you’re about to add the wine. Now add the wine, until it reaches a nice, “saucy” consistency. Lower the heat as much as possible, just enough to keep it warm. If you can’t keep stirring it, go ahead and turn the heat off. You’ll just need to warm it up a little bit again in a few minutes. Check on the chicken. It should be more or less halfway done cooking by now. You will have already removed the potatoes by now, or else they should be ready, so drain and add them. Allow each side to brown a bit. Add the green onions. This really could be its own meal unto itself, without the sauce! When they are lightly browned, heat up the sauce if necessary and add it to the chicken and potatoes. Stir it up, lower the heat, cover and let cook for another 10 minutes or so, stirring occasionally. One of the most yummy things I've ever made. Ever. This makes a fantastic main dish. But if you would prefer to omit the potatoes, the sauce and chicken would be great on pasta or even rice, as well. 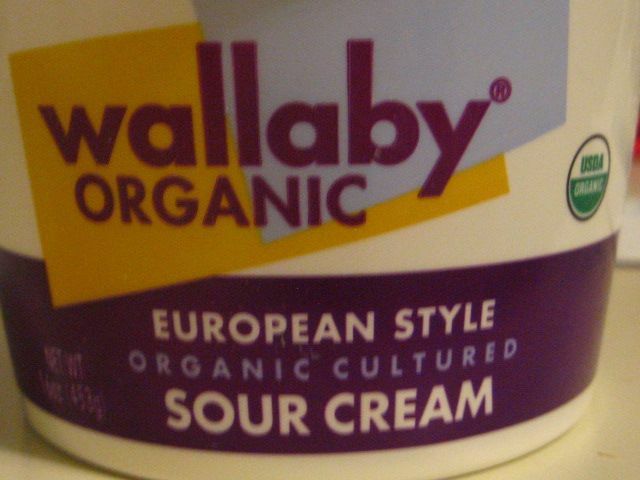 But, the sour cream flavor really goes well with the potatoes–so I’d say give it a try! So. As some of you know, I managed to almost burn down my kitchen the other night. How, you ask? Well, apparently oil can catch fire spontaneously when it reaches a certain temperature. I had heard of a “flashpoint,” but I thought that had more to do with a change in texture and perhaps a brief “flash” or flame–not a moment at which it combusts into an 8 inch high fire that doesn’t go out. I immediately removed the pot from the stove, grabbed the lid and placed it over the fire, which did help put out the flame, but black smoke continued to billow out from beneath the lid. I called 911 just to ask how to stop the smoke. There was just so much oil (since this is a recipe for deep frying), and I couldn’t risk carrying it through the house to get it outside. I expected a tip like “more baking soda.” But, of course, they sent two fire trucks to the house. At eleven thirty on a Saturday night. Suffice it to say, the neighbors were curious. My obvious lack of a social life aside, the lesson for me was clear: to carry extra baking soda or an extinguisher in the kitchen (and perhaps, some more throughout the house). Unexpected things can happen to even the most prolific cook. The really funny part: Minutes after the firefighters left, I was told we have an extinguisher. But, in the moment, my mother forgot about it. So, the second lesson is to remember your extinguisher once you’ve bought it. This should go on the Top 5 things to have (and remember) in your kitchen. At #1. About 40 minutes after the fire broke out, and after about 20 minutes of having a squad of well built men flush the smoke out of the house with fans, I was able to get back to the chicken. Sigh. The good news is, it came out absolutely delicious! 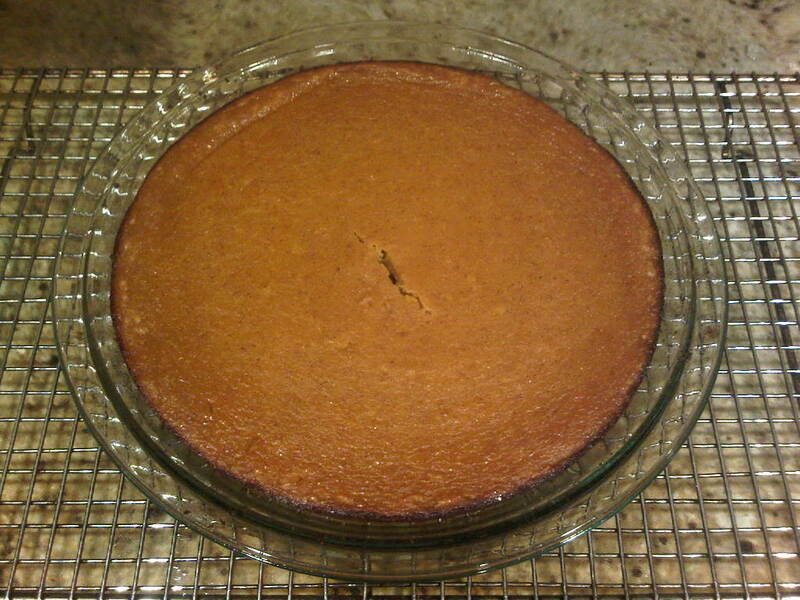 Spicy, smooth flavored, and even a little bit malty, the batter came out nice and crunchy. 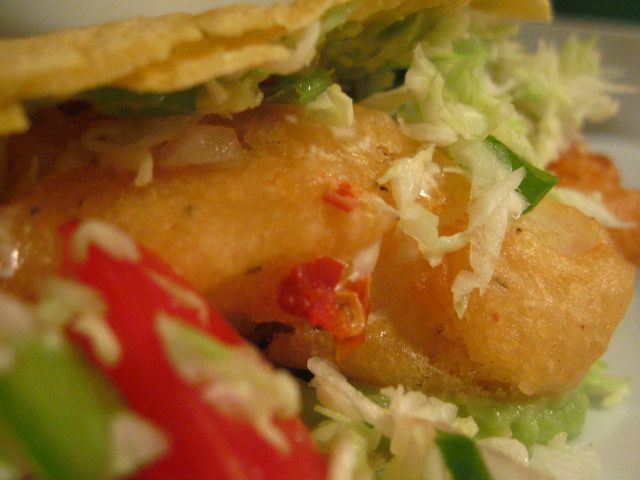 Definitely a different consistency than the deep-fried Baja-style fish tacos from last week–and equally as scrumptious! Preparation time: About 15 minutes if you’re cutting up the chicken yourself. Cooking time: 10 minutes for each batch of pieces (5 minutes to cook each side), if deep frying more like 5-6 minutes. About 20 minutes for all of the pieces if you’re using the same size pan as I did. Mix all dry ingredients for the batter in a large bowl. Add the eggs and the Guinness and whisk together until smooth. You want to achieve a thick consistency that will still drip a little bit, almost like pancake batter. Mix all dry ingredients for the breadcrumbs in a separate large bowl. 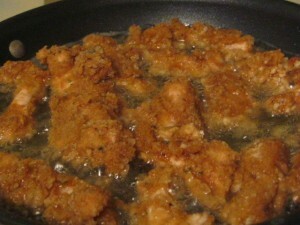 With a pair of tongs, lightly coat each strip of chicken in breadcrumbs, then transfer to the batter. Let a little bit of batter drip off of each piece, then return to the breadcrumbs and coat once again. Heat up a pan with at least 1/2 inch canola oil. If you have enough to cover the chicken, even better. But given the fiasco with the first batch of oil, I only had enough to cook one half of each piece at a time, which still worked well and resulted in crunchy fried chicken. Almost the same as deep fried! So delicious. Remove to a rack or plates lined with paper towels to soak up the excess oil. Let cool and enjoy with your favorite dipping sauce. I normally love ranch, but the smooth, earthy flavor of this recipe may be complemented better by a sweeter sauce like BBQ or honey mustard. I also think it would be ridiculously fantastic on a salad–but my supply didn’t last long enough for me to find out! Someone please make this and let me know….